Set before the events of Episode IV: A New Hope, join everyone’s favorite stuck-up, half-witted, scruffy-looking nerf herder on a daring new caper! Feared bounty hunters Zuckuss and 4-LOM are hot on the heels of the most notorious scoundrels in the galaxy, Han Solo and Chewbacca! To evade their pursuers, Han and Chewie will risk landing on a mysterious planet that somehow shuts down all electronics. With the Millenium Falcon unable to take off, how will the boys escape? 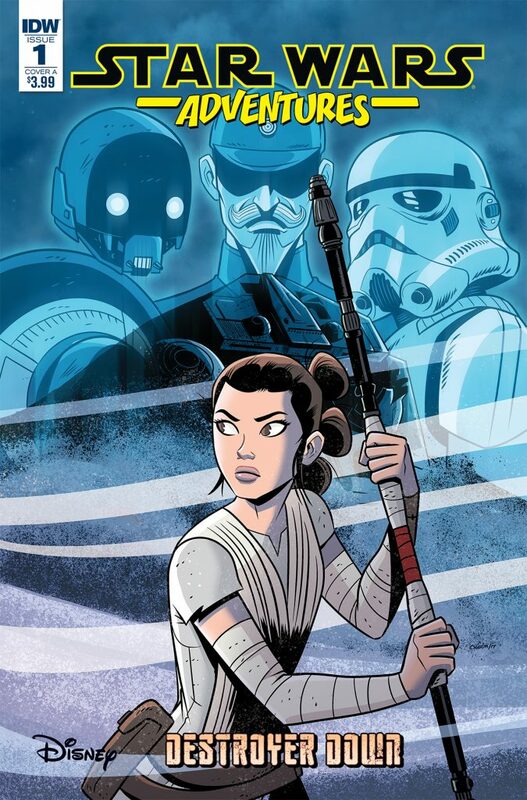 Collects Star Wars Adventures issues #10 and #11, plus the 2018 Free Comic Book Day issue. 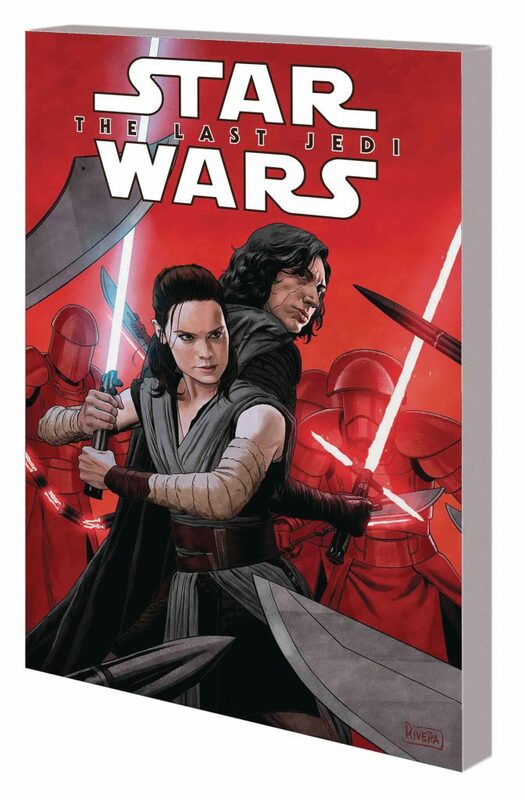 Contains a multi-chapter story featuring characters from Solo: A Star Wars Story with Blu-ray in stores late summer early/fall. • After the disaster of “HOPE DIES,” our heroes are on the run. • Can they escape the patrols? No. They’re trapped on a distant world. • Where have they been abandoned? How can they possibly survive? 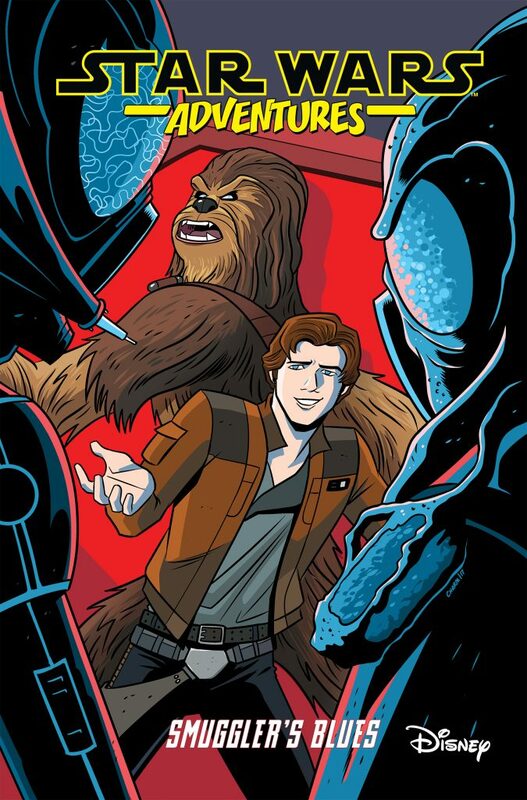 • HAN SOLO escapes Corellia by joining the IMPERIAL NAVY, vowing to return for QI’RA. • But how does a thief used to the chaos of the streets adjust to the order and discipline of the military? • Not well! 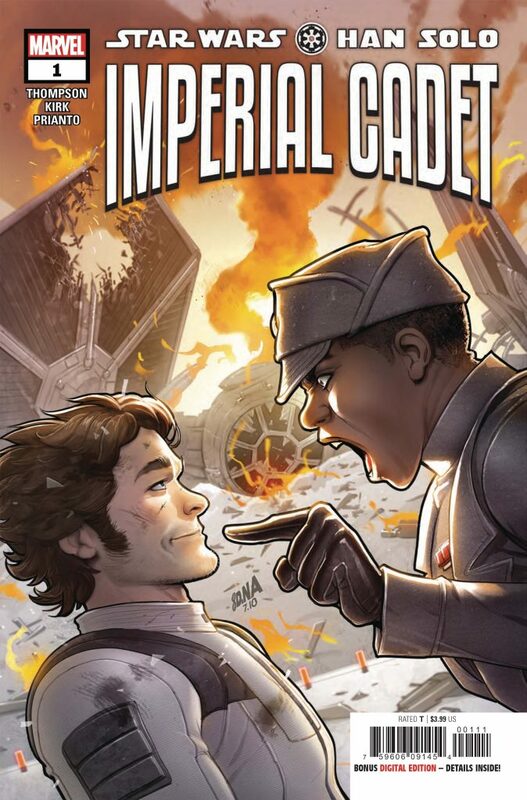 Han’s dream of becoming a pilot is quickly grounded as he realizes he may not even survive basic training! Straight from the frames of the highly anticipated film Solo: A Star Wars Story swaggers a younger – and somehow even cockier – Lando Calrissian! 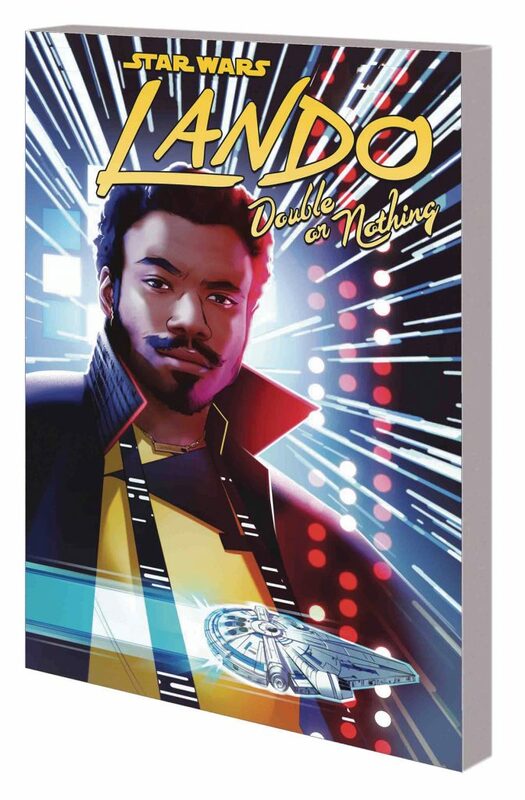 Before his days in the Rebellion, before he ran Cloud City, even before he lost the Millennium Falcon, comes this tale of Lando’s adventures and misadventures in search of love and money – leading right up to his appearance in Solo! Lando isn’t one to stick his neck out…unless there are credits to be had. So when oppressed workers in a droid junkyard need his help, they’d better hope their freedom is worth something to him. But one of their numbers is out to turn Lando over to his enemies – and there are plenty of those. Will a galaxy of bad guys finally get their due against the ultimate thorn in their side? 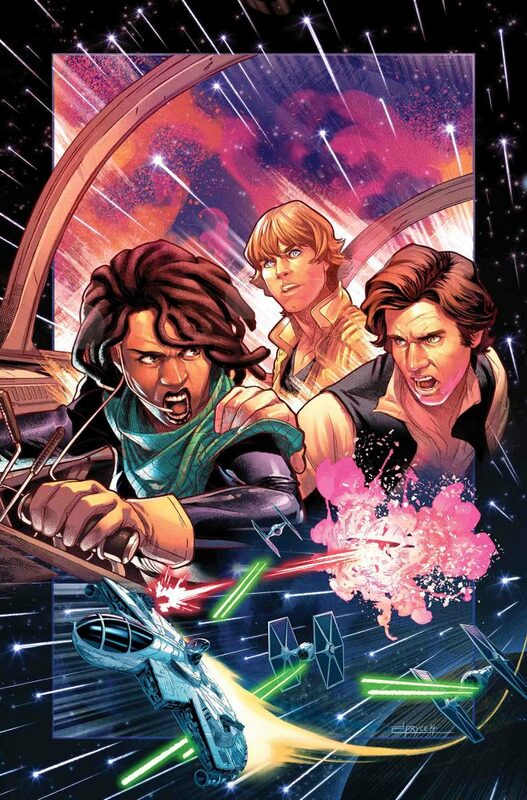 Collecting STAR WARS: LANDO – DOUBLE OR NOTHING #1-5. 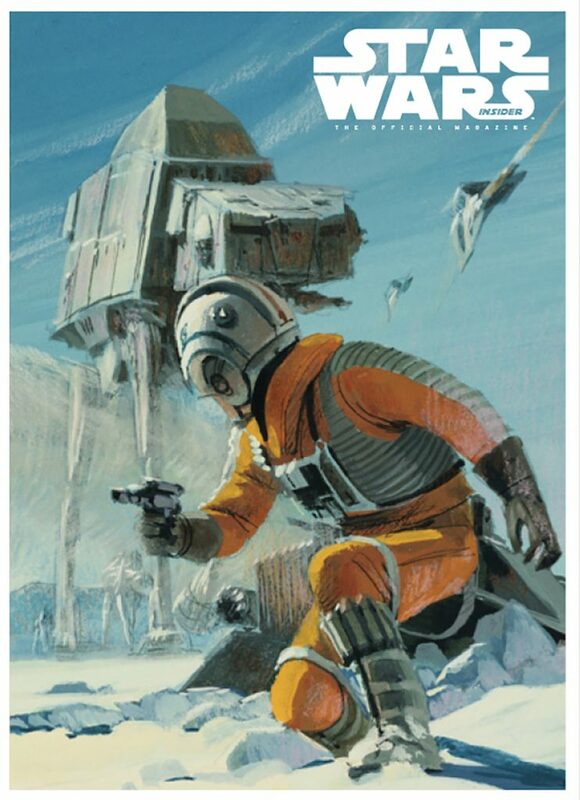 Take a tour of Hoth as we explore shooting locations in Finse, Norway! Discover the hidden treasures of Rancho Obi-Wan, the “Smithsonian of Star Wars”! 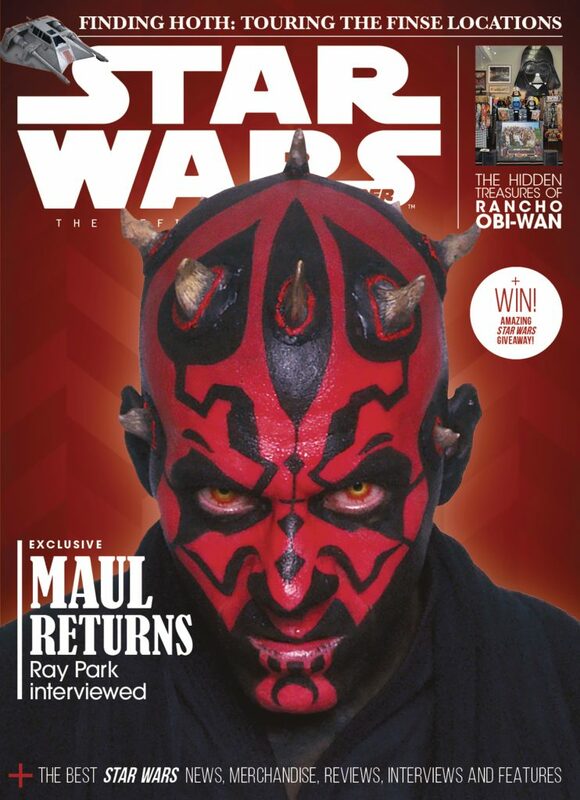 And as Darth Maul returns, we snag an exclusive interview with actor Ray Park! Discover the world of Star Wars‘ mechanical wonders, the droids, through this hugely fun and fully interactive reading experience. Droidography is the ultimate in-universe guide to these lovable characters with insider info on their function and role in the Star Wars universe. Covering every known model of droid, including free-rolling astromechs, protocol units, KX-series security models, and even bounty hunter droids, the book is filled with fascinating facts and insights that show just how crucial droids are to every faction in the galaxy, from the Rebellion to the First Order. 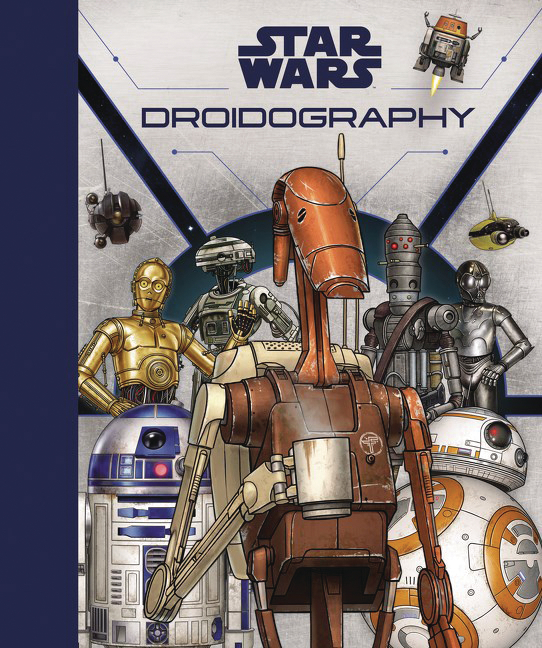 With thrilling original illustrations and amazing special features including lift-the-flaps, textures, and more, Star Wars: Droidography is guaranteed to thrill the saga’s legions of young fans. The women of the Star Wars galaxy drive its stories and saga forward at every level. 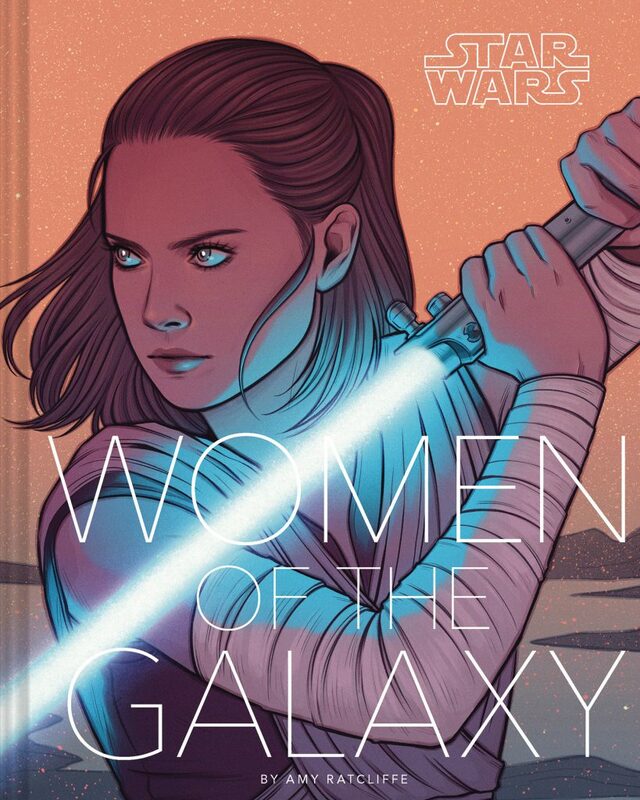 This beautifully illustrated, fully authorized book profiles 75 fascinating female characters from across films, fiction, comics, animation, and games. Featuring Leia Organa, Rey, Ahsoka Tano, Iden Versio, Jyn Erso, Rose Tico, Maz Kanata, and many more, each character is explored through key story beats, fresh insights, and behind-the-scenes details by author Amy Ratcliffe. Also showcasing more than 100 all-new illustrations by a dynamic range of female and non-binary artists, here is an inspiring celebration of the characters that help create a galaxy far, far away.